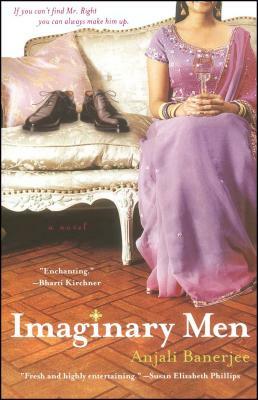 This charming novel about a Bengali-American matchmaker in San Francisco who creates an imaginary fiancé in order to satisfy her marriage-minded traditional parents offers a fresh variation on the timeless theme of a young woman's quest for true love. Lina Ray has a knack for pairing up perfect couples as a professional matchmaker in San Francisco, but her well-meaning, highly traditional Indian family wants her to get married. When her Auntie Kiki introduces Lina to the bachelor from hell at her sister's wedding in India, Lina panics and blurts out, "I'm engaged!" Because what's the harm in a little lie? Lina scrambles to find a real fiancé because Auntie Kiki will be coming to America soon to approve the match. But date after disastrous date gets her no closer to her prince -- until an actual prince arrives on her doorstep. Lina hasn't been able to stop fantasizing about traditional but dashing Raja Prasad since she met him in India. In fact, her imaginary fiancé has begun to resemble him! Now Raja is in San Francisco and wants Lina to find a suitable bride for his brother. Though they live oceans apart, Lina longs to bridge the gap. But when her fantastic fib catches up with her, life is suddenly like a Bollywood flick gone horribly wrong. Lina may have an over-developed fantasy life, but she certainly never imagined things would turn out like this! Anjali Banerjee was born in Kolkata, India, and grew up in Canada and California. Her short fiction has appeared in literary journals and she has been nominated for a Pushcart Prize. A graduate of the University of California at Berkeley, she lives in the Pacific Northwest with her husband. Visit her website at www.anjalibanerjee.com. "A rare, wonderful novel that breaks new ground yet celebrates the most classic theme in literature -- the passion, pain, and unadulterated humor of finding a mate."